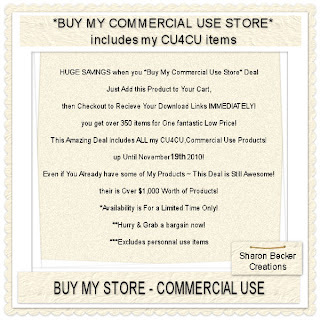 Sharon Becker Creations: BUY MY CU STORE! then Checkout to Recieve Your Download Links IMMEDIATELY! you get over 350 items for One fantastic Low Price! up Until November 19th 2010! ~ This Deal is Still Awesome! their is Over $1,000 Worth of Products! **Hurry & Grab a bargain now!